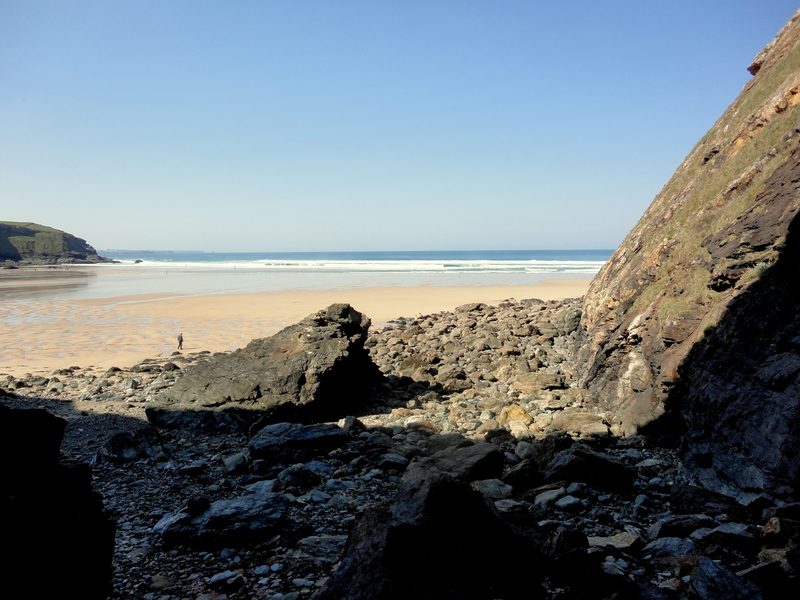 To me, there can be nothing closer to heaven than the cliff tops around Mawgan Porth in late spring. The explosion of colours can be seen from afar and will reach its peak over the next few weeks. The thick, warm, honey-laden scents of the gorse and the delicate smell of the opening thrift provides the perfect accompaniment to the view of taut lines of swell stretching across a wide indigo horizon. 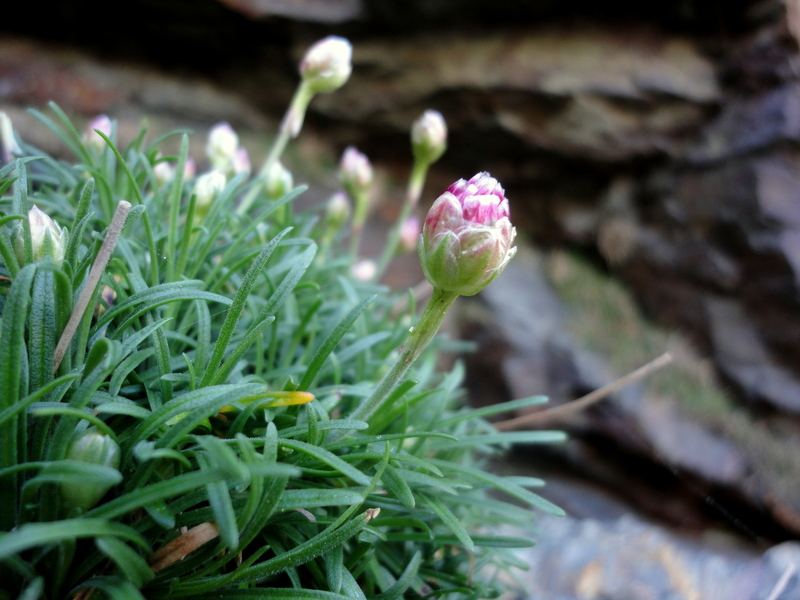 It comes as more of a surprise that so many flowers are blooming near the base of the cliffs, in the shadow of the old mine workings that are set deep into the northern cliff face. 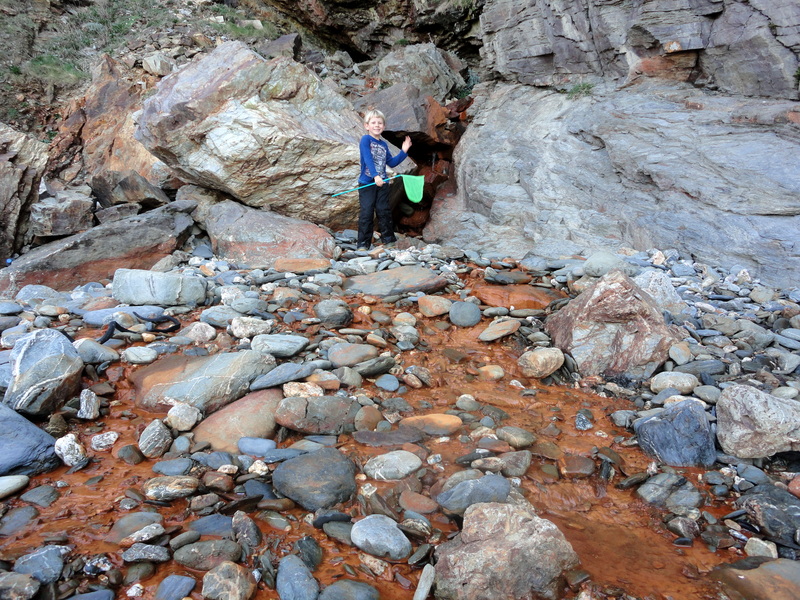 Cornish Rock Pools junior approaching the mine entrance optimistically equipped with a fishing net. 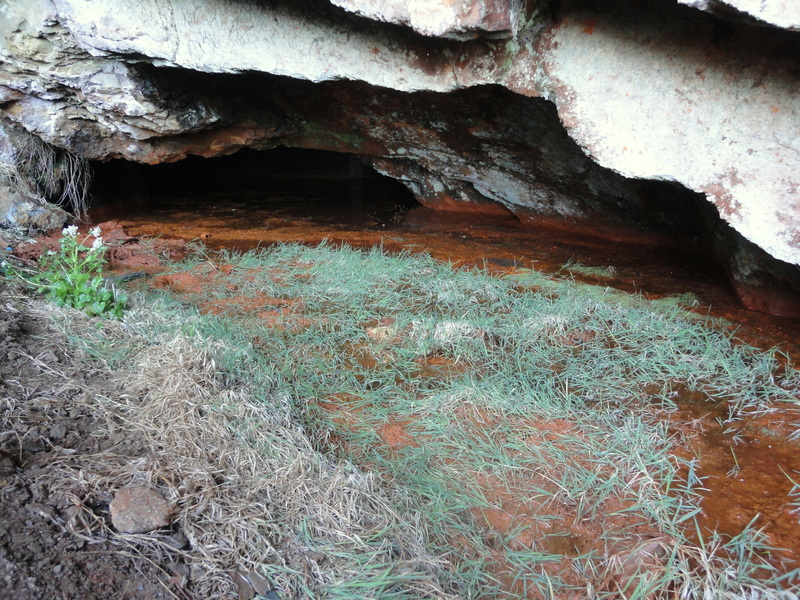 At first glance it seems that nothing could survive among the stark rockfall boulders and the red metallic ooze from the flooded and blocked shaft. As we clamber closer across the rocks, we see plants poking out. 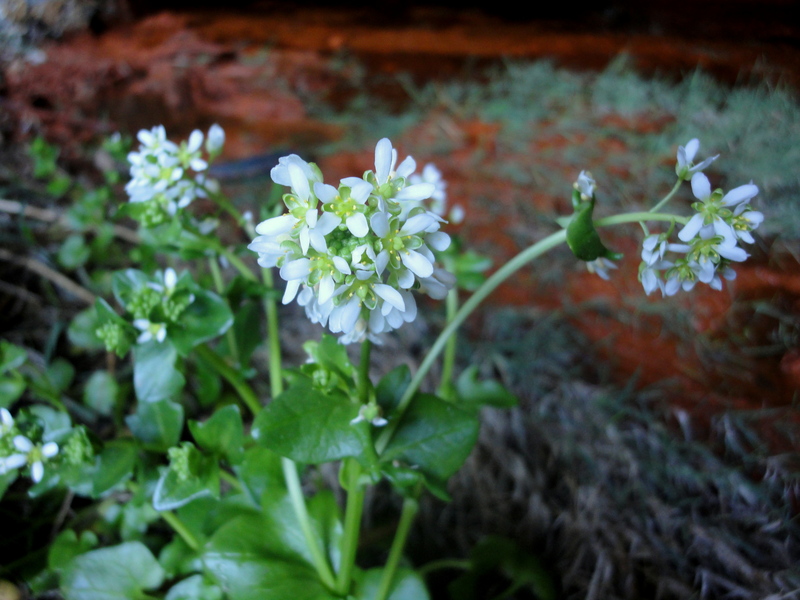 Scurvy grass – so named because it’s rich in vitamin C – more beautiful than the name suggests. Thrift, sea plantain and more are pushing up between the red stones and flowering happily. Even in the murky sludge of the pool itself, there is grass growing. Amongst all this life my camera is dying. Sand is blocking the mechanism and the motor groans and strains but the lens fails to open. 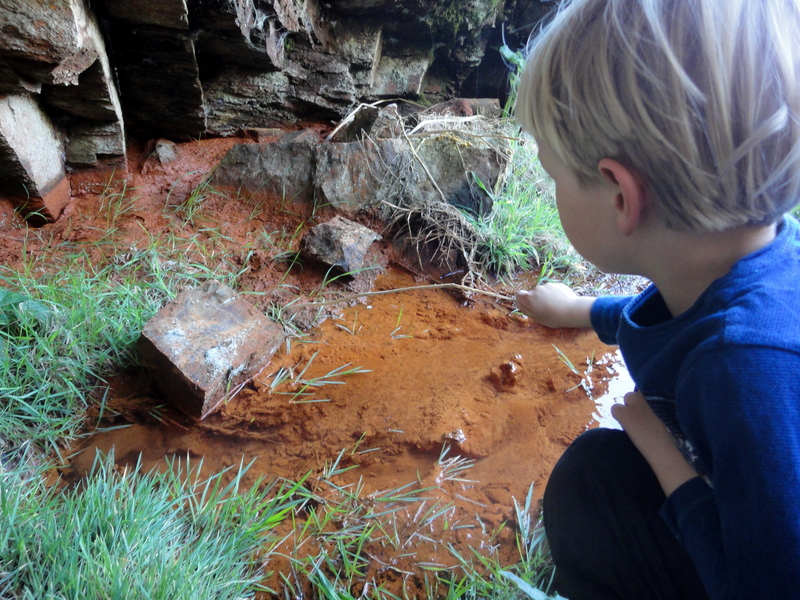 I massage it into life a few times, first to capture Cornish Rock Pools junior poking the red ‘lava flow’ river with a stick, then to photograph some of the lovely blossoms while CRP junior jumps around on the slope sending a rain of rocks towards my head. 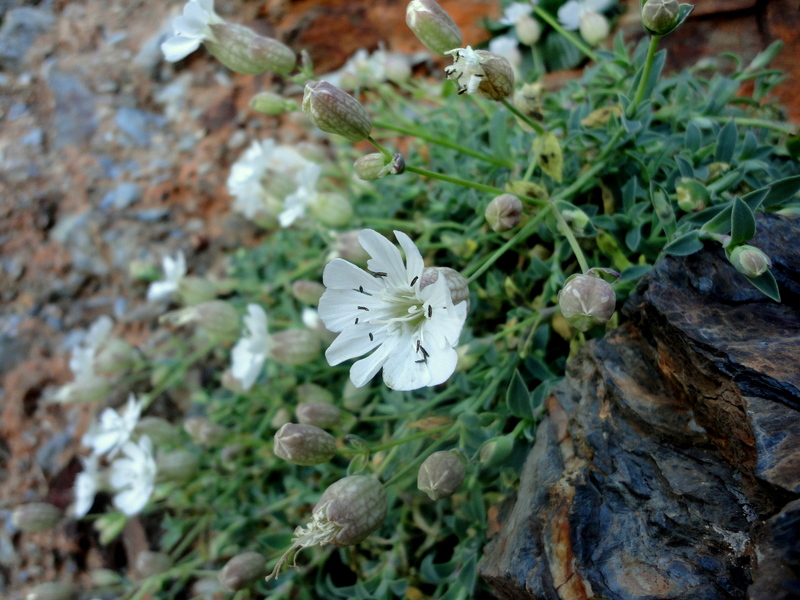 Despite my best efforts to revive my camera, it fails completely after taking a photo of a sea campion. It grinds, whirs and twitches but the lens won’t come out however much I coax and turn and tap. My other half grabs it from me and gives it a bash and a shake, but the camera has decided it’s time for retirement and that’s that. Back home, I download the last photos and a splash of white petals fills my computer screen, the delicately-veined balloon buds surrounding it are poised to burst into flower. It’s spring and new life is coming. New flowers, a new camera and new adventures beckon. Ah, it’s a while till my birthday. I should have timed it better! I need something that likes being dragged around in sand, dunked in seawater, dropped on rocks etc. Any thoughts? My old one was a cheap Sony compact and I managed to squeeze a few years and some passable pictures out of it – so not bad.